Applies to: Users wishing to configure Entourage 2008 to receive email from a G Suite account. Note that Entourage 2008 currently does not support direct syncing of Google calendar or contacts. Users may gain these features by installing Google's Mac Sync Tools (unsupported). Open the Tools menu and select Accounts. 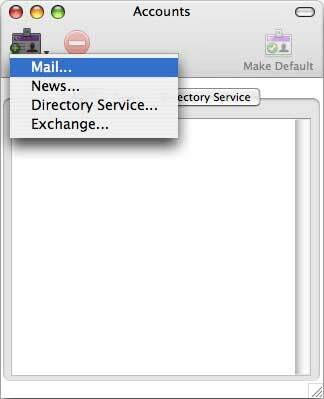 In the Accounts window, click on the New icon and select Mail from the drop-down menu. A New Account window will appear. 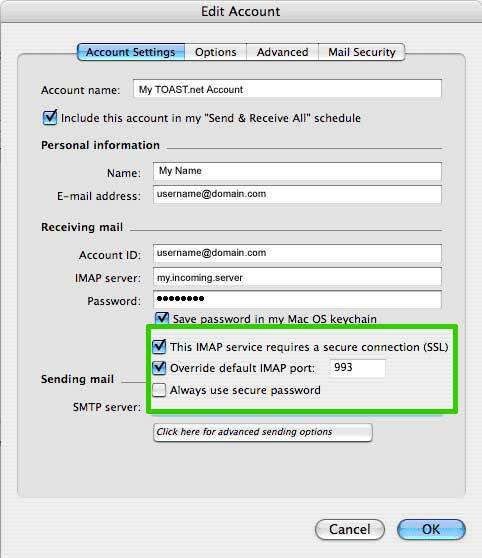 For Account type, choose IMAP, then click OK.
Email Address: Your complete email address. 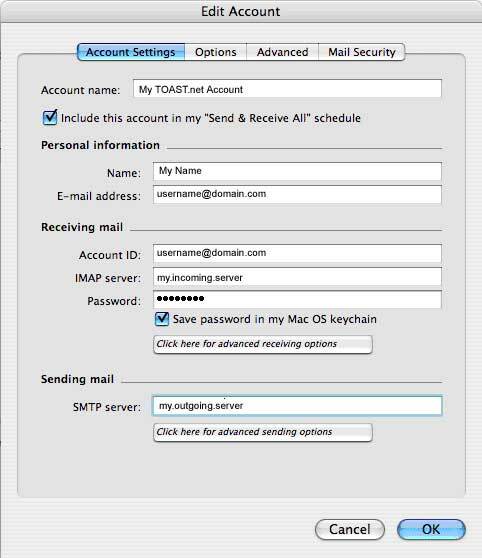 Account ID: Your complete email address. Password: Your email password. 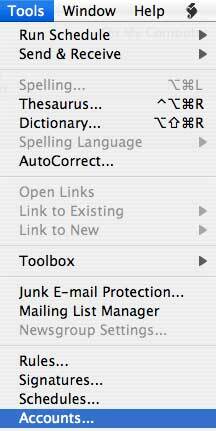 Checkmark Save password in my MAC OS Keychain. Select Click here for advanced receiving options when complete. The Accounts window will appear again. Click the red "close" circle in the upper left hand corner to close the window. Your account is now configured for Entourage 2008.